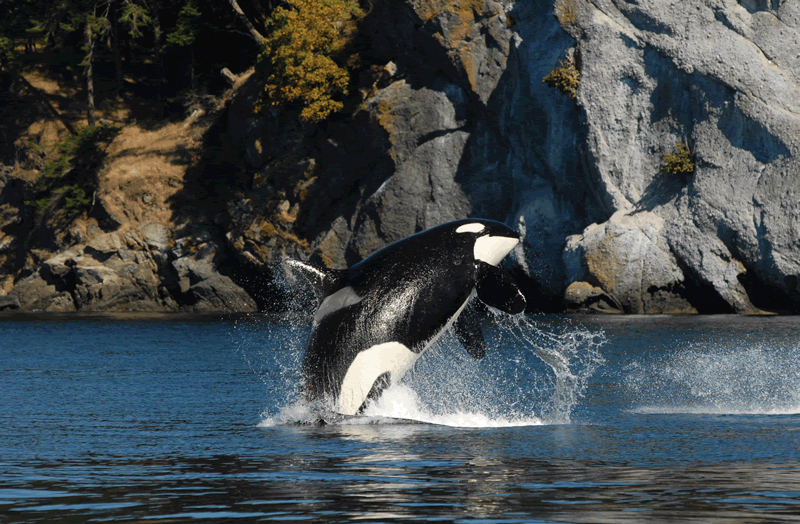 If we can celebrate the life of a person who has died, it seems fitting to me that we should celebrate the long, productive life of a killer whale known as Granny. 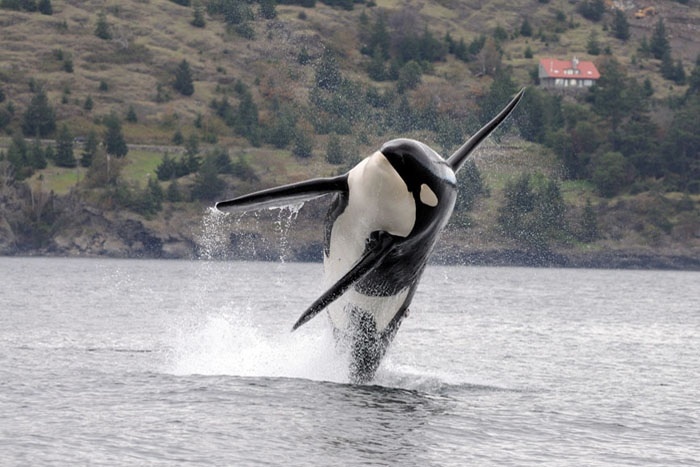 Granny, or J-2, breaching in 2009, as she was known to do throughout her life. 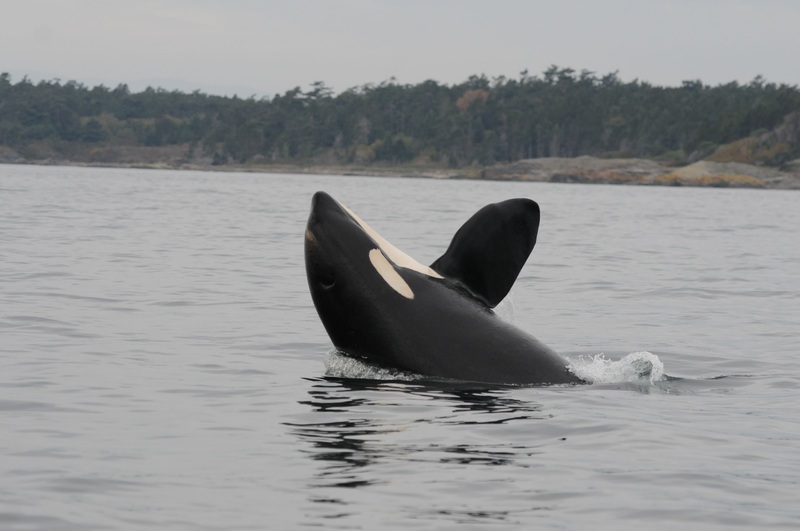 Granny, officially designated J-2, was the oldest orca in the three pods of Southern Residents. Possibly more than 100 years of age, her longevity is something we can only hope to see among the other orcas that frequent Puget Sound. 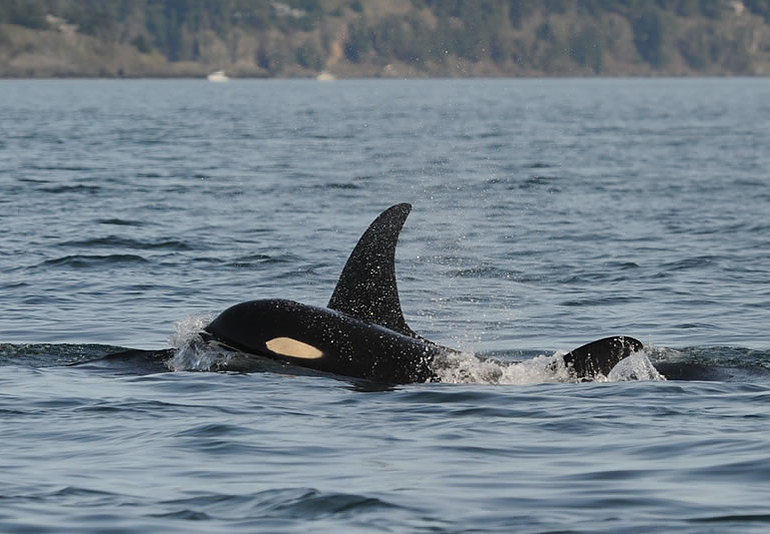 Granny was the longtime leader of J pod. 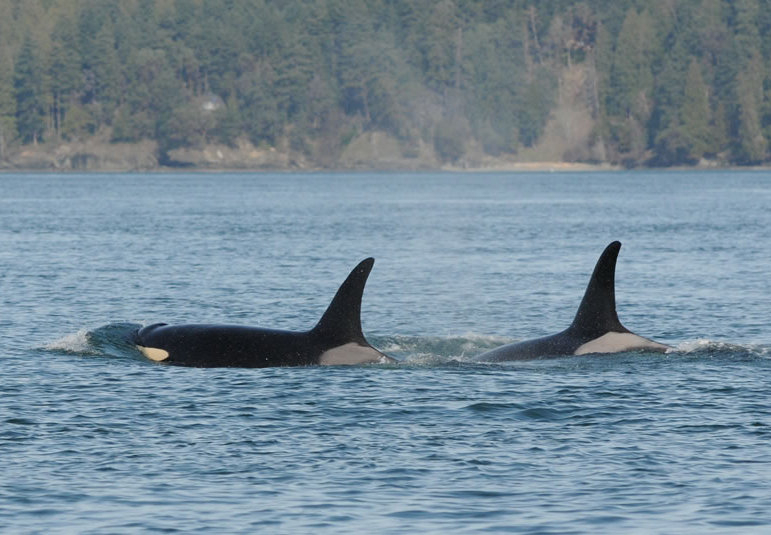 In a matriarchal society like the orcas, offspring stay with their mothers for life. 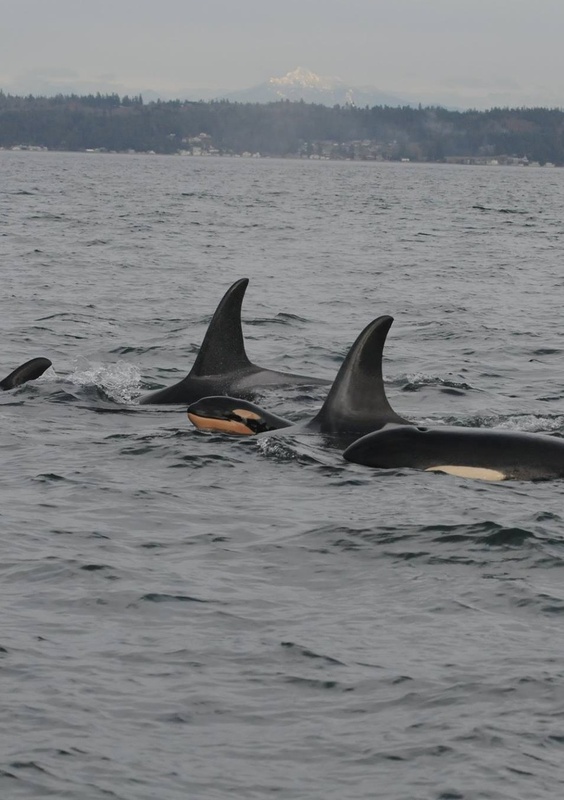 Generally, the older females lead the way, and Granny was almost always seen at the front of the pack as J pod moved through the Salish Sea. For a long-lived intelligent orca, it is hard to imagine the amount of knowledge she must have accumulated through the years. 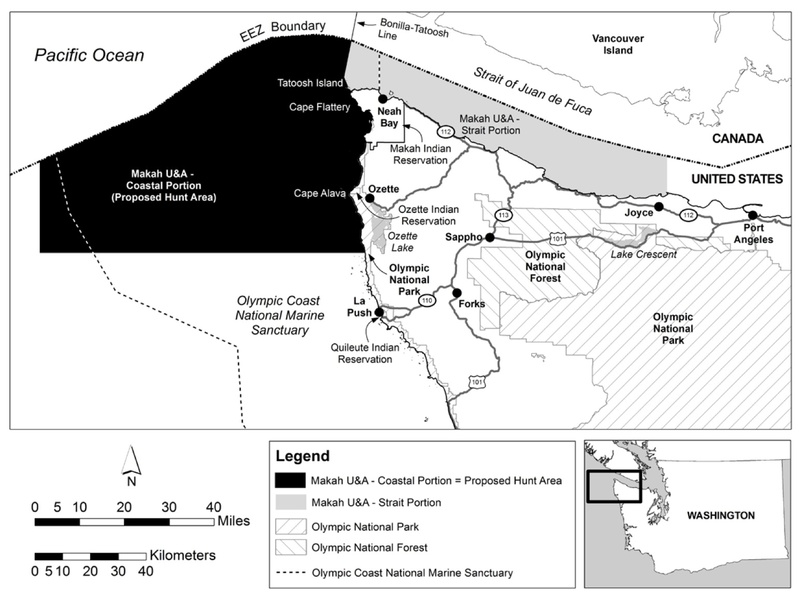 I tend to think that Granny had a personal history with nearly every cove and inlet in the Salish Sea. I think she understood the movement of salmon and where the fish would congregate before heading up the streams. It must have been tough for her to watch the decline of the whales’ once-abundant prey. Capt. Paul Watson, founder of Sea Shepherd Conservation Society, has condemned the Humane Society of the U.S. for forming an alliance with SeaWorld, saying SeaWorld CEO Joel Manby “has found his Judas,” and HSUS CEO Wayne Pacelle “single-handedly put the brakes on the movement inspired by Blackfish.” Read the full commentary on Sea Shepherd’s website. SeaWorld and the Humane Society of the U.S. are urging President Obama to take a stronger stand against whaling by the Japanese harpoon fleet, which recently returned to Japan with 333 dead minke whales, all killed in the Antarctic. Three dead minke whales were hauled up on the deck of the Japanese whale-processing ship MV Nisshin Maru in 2014 in the Antarctic. 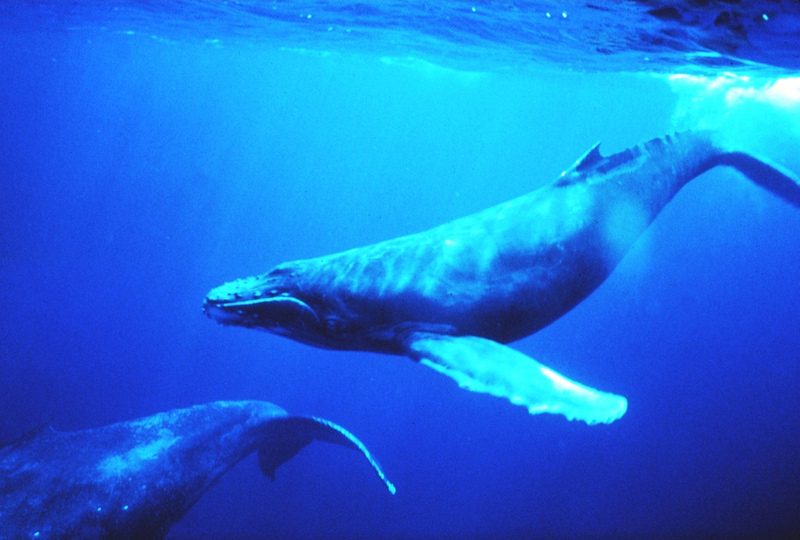 “The United States is well-positioned to lead a comprehensive effort to persuade Japan to abandon commercial whaling as an anachronism that is imprudent, unnecessary for food security, cruel and economically unsound,” states the letter to Obama (PDF 464 kb), signed by Joel Manby, president and CEO of SeaWorld, and Wayne Pacelle, president and CEO of HSUS. 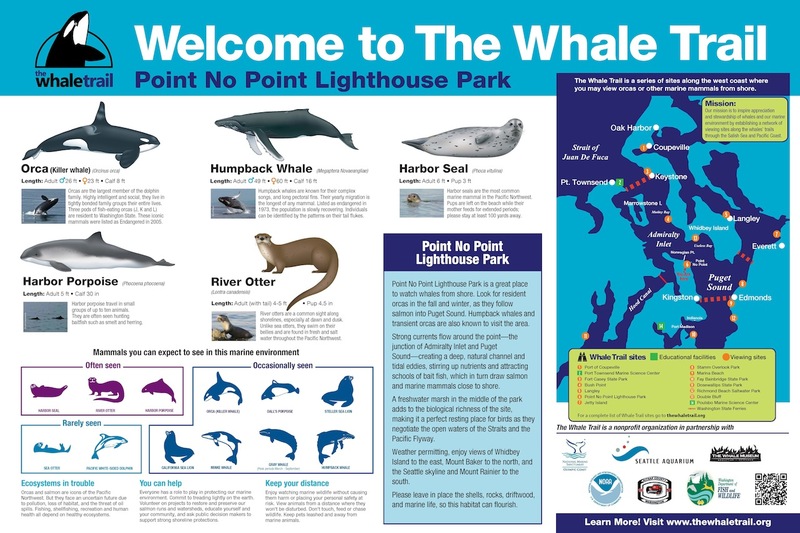 Combining forces to oppose commercial hunting of marine mammals throughout the world is one element of a negotiated agreement between SeaWorld and HSUS. Of course, the most notable parts of that agreement specified that SeaWorld would discontinue its breeding program for killer whales and halt all theatrical performances. See Water Ways, March 17. This year’s whale hunt in the Antarctic was endorsed by the Japanese government, which considers dead whales to be lethal samples of tissue collected during an annual “research” trip, which ultimately puts whale meat on the commercial market. 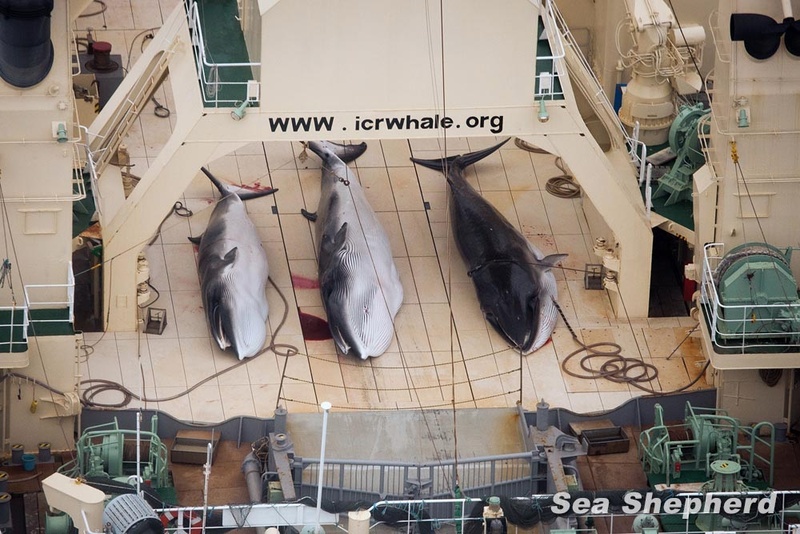 The International Court of Justice ruled in 2014 that the whale hunt, as carried out at that time, failed to meet scientific standards. As a result, the Japanese government took a year off from whaling, altered its plan and continued the whale hunt at the end of last year going into this year. This time, Japanese officials declared that they would no longer be subject to international law on this issue, so a new lawsuit would be meaningless. Last week’s report by the Japanese Institute of Cetacean Research said the whalers were able to obtain all 333 minke whales proposed in the plan. It was the first time in seven years that the full sampling was completed, because Sea Shepherd Conservation Society was not there to interfere, according to the report on the New Scientific Whale Research Program in the Antarctic Ocean. 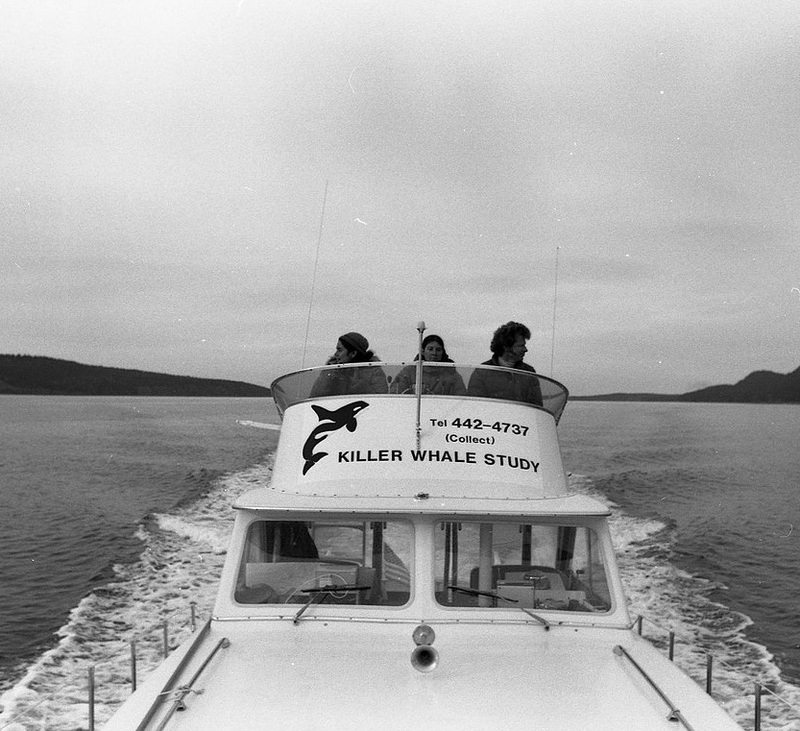 Of the 333 whales, males numbered 103 and females 230. 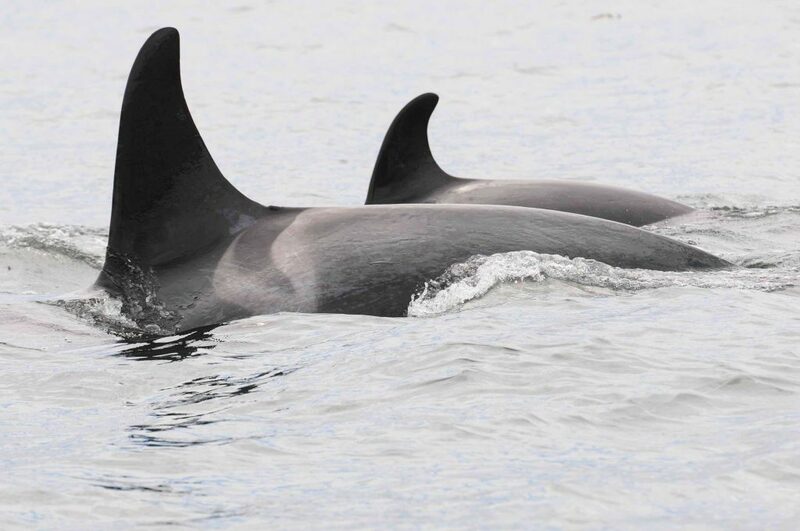 Of the females, 76 percent were sexually mature, and 90 percent of the mature females were pregnant, suggesting a healthy population of minke whales, according to the report. 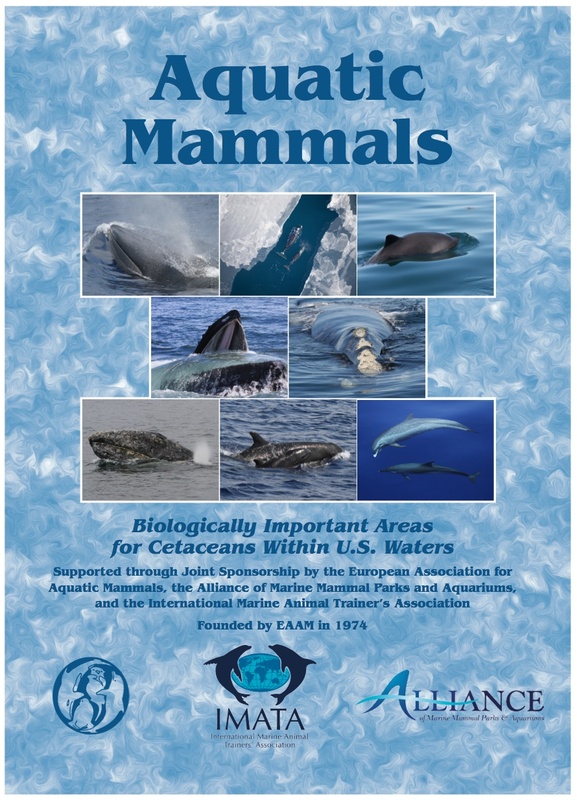 The letter from Manby and Pacelle acknowledged that the U.S. government had joined with 30 nations in December to write a letter voicing concerns about Japan’s decision to resume whaling. 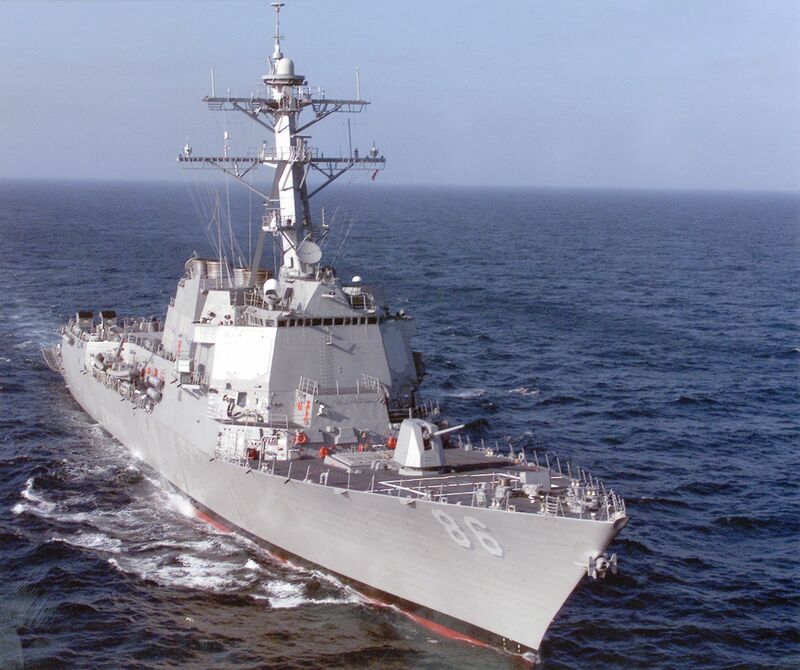 But the Manby-Pacelle letter also complains that the U.S. has given up its leadership role on the issue, ceding to New Zealand and Australia for the legal battles. The U.S. delegation to the International Whaling Commission should be empowered to threaten Japan with sanctions, though details were not specified in the letter. 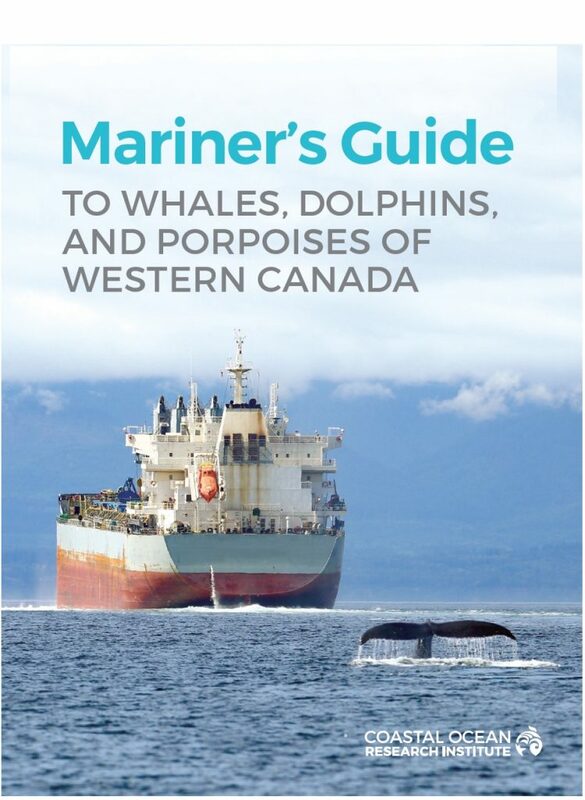 The U.S. government should include provisions against whaling in international trade agreements. Japan’s potential assets should be surveyed as a prelude to invoking the Pelly Amendment to the Fisherman’s Protective Act of 1967. The amendment allows a ban on imports of fishing products from a country that violates international fishery conservation rules — including those of the IWC. For readers interested in the SeaWorld issue, I should note that Pacelle still vigorously defends his alliance with SeaWorld. In a blog post announcing the anti-whaling letter, he adds further explanations for his position. Meanwhile, the successful Japanese whale hunt has motivated environmental groups throughout the world to call on their national governments to confront Japan directly, at least in diplomatic circles. Sea Shepherd Conservation Society, which has confronted the Japanese whaling ships on the high seas in years past, is rethinking its plans for the future, according to Capt. Peter Hammarstedt, chairman of Sea Shepherd Australia’s Board of Directors. 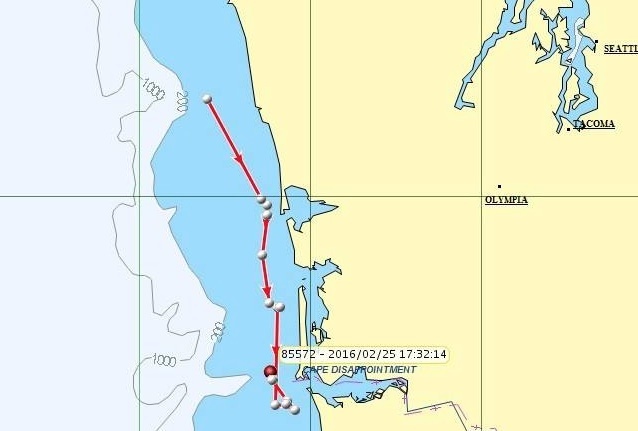 “Sea Shepherd was handicapped by the new ICR strategy of expanding their area of operations and reducing their quota, meaning that the time to locate them within the expanded zone made intervention extremely difficult with the ships that Sea Shepherd is able to deploy,” Hammarstedt said in a news release. This past season was an opportunity for world governments to find the resolve to uphold international conservation law, he said. The Australian and New Zealand governments could have sent patrols to protect declared sanctuaries, but they failed to do so, “and this has served to illustrate that the only thing that has proven effective against the illegal Japanese whaling fleet has been the interventions by Sea Shepherd,” he added. Jeff Hansen, Sea Shepherd Australia’s managing director, said the Australian and New Zealand governments have offered false promises. Hammarstedt hinted that Sea Shepherd might be back later this year when the Japanese ships take off for another season of whaling.